Sunderland born Wilf Rostron was signed for £150,000 from his hometown club in 1979 as a left-winger. It was his move to full-back a year later proved a turning point in his Watford career. He went on to make more than 300 appearances for the Hornets, becoming captain and winning the Player of the Season award two seasons in a row. Now living back in Sunderland, Wilf spoke to Watford Legends in 2009. Hi Wilf. We hear you hoodwinked your wife so you could become a Watford player! Well sort of, I suppose! My wife is a Sunderland girl, and although I had played for Arsenal recently she had never been out of Sunderland. I came down to speak to Graham, and we chatted about things. I went back home and told her that I had signed for Watford, even though by that point I hadn’t, just so I could test the water. And she was absolutely fine with it. So I went and signed. And how did you settle in to the area? It was quite difficult to settle family wise as we had one small child and Jill was pregnant with our second. And at the time it was very very difficult to buy houses, so we spent about five months in a hotel. So you can imagine how difficult it was in a hotel with a young child and one on the way. For me it was easy for getting to work and so on but it wasn’t ideal as a family. Eventually we bought a house in Leverstock Green, and we loved it there. You became a ‘steady eddie’ left back after initially being a left winger. Were you pleased to settle in that role? I suppose I probably did in the end. I liked to get forward, but I didn’t mind where I played so long as it was down the left somewhere. I was quite relived when I played my first game at left back as I’d never played there before in my life! But overall it was no problem. Who were your closest friends within the Watford squad? I sort of had two different teams that I played in. There was the team that went through the leagues and there was the team that established itself in the top flight. Because I was living in Hemel Hempstead I generally knocked around with the lads who lived in the same area as me. That said though, it’s fair to say that as a squad everybody seemed to get on well with each other. Were you pleased to be given the captaincy at the club? Yeah of course! I think I was probably the most senior player at the time and I guess that’s why I got the job. But I was proud to do it and enjoyed it. Had things worked out differently you would have lead team out at Wembley in 1984. Do you feel bitter about events now? I don’t feel any more bitter now than I did then, put it that way! But really you have to put it down as one of those things. At the time it was disastrous for me. It was a really big issue within the town and I think people were more baffled than anything. Have you ever had a chance to speak to Roger Milford again? I don’t think like that. As far as I’m concerned we played the game and the game has finished. It doesn’t matter who was reffing it. What did you do on Cup Final day? I went to the game and sat on the back benches. I wasn’t sure whether I was going to or not and Graham gave me the choice if I wanted to stay away. But my mindset was that I wanted us to win, and I wanted to be on the bench to see that happen. You were at the club when GT decided to leave and significant changes happened. What was time like? I didn’t find it as difficult as I expected it to. At fist I though crikey, what happens now. But there’s not doubt Graham was an excellent manager but you have to respect that people move on. And that’s what football is like. People move on quickly and you just have to get on with it. How did you get on with Dave Bassett when he came in? I liked Dave. I don’t think it was the perfect time for him to take over Watford. But as a person, and in relation to what he was preaching and what he wanted to do, I liked him. You chipped in with the odd goal. Are there any in particular that stand out for you? I can only remember all the penalties I gave away! Like the two I gave away against Liverpool. I cant remember any of my goals! What was your relationship like with the Watford fans? Well being from the north east which is very obsessive about football, people would talk to you all the time. 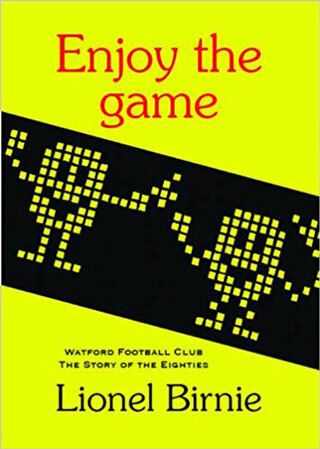 But in Watford the fans would acknowledge you and say hello, but after that they would leave you alone to have your pint or do your shopping, and I loved that. I never minded talking a bit of football, but generally you could mind your own business and have your meal out and so on. Do you still keep an eye out for the club? I obviously do, but to be honest I don’t follow football a lot now. And when people ask me why I don’t go to games I tell them the truth – I hate queuing! I hate queuing up to get in to a game. I still play football and watch the big game on a Sunday, but I’m definitely more of a player than a spectator. You left the club to join Sheffield Wednesday. What made you leave the club? I was interested in getting involved in a bit of coaching and wanted to learn that side of it, even though I was still playing, and Sheffield Wednesday were thinking about me in that way. You came back down the M1 to join Brentford. That must have been a big upheaval again for your family. It wasn’t a big upheaval as I decided that we would move back in to the Hemel area, and the kids could pick up again with their old friends and schools and so on. So I tried to make it easy for them. Your last involvement with professional football was about 15 years ago. Could you fill in the gap with what you’ve been up to? I always thought that I would stay in the game with coaching and so on. But I also know that it may take time for me to get a job. So I thought in that time I would go back up to the north east, where I stayed for four months with my sister. Nothing really happened, so I thought I would get a proper job. I got a job with a furniture company. It was quite a young company, and pretty forward thinking. As nothing came through on the football side I started to climb the ranks in the firm, and eventually I became a franchisee. I had to learn a lot about selling, buying, leases and so on. In the end the company ended up with about 60 stores. After a while I left to start up my own firm. And that is what I do now. I import furniture to sell on to the furniture stores. I have to go to China a lot to see suppliers, so I probably do more travelling now than I did when I was playing. And this is something you think you will stay with? Yes I think so. As much as I love football it’s a lot of hassle at times. I’m just looking to keep everything settled and keep doing what I do. How would you do in the top flight as it is today? I think the league is at the highest level its ever been. And money has made that happen. And that’s why whenever I go abroad, people love the English league. That said, I’d love to be 25 again and have a go at it!